It can be said that to me writing this blog has given me a new lease of life, through my writing and thanks all of you lovelies reading and commenting I have been able to rediscover a fundamental part of myself which I feared had been lost through the waves of university life, studies and life planning! Upon nomination you must complete 5 tasks in order to express acceptance and keep the love train going! 1. 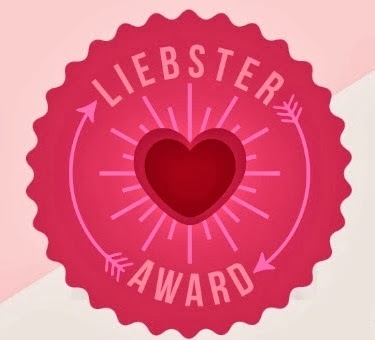 Make a post dedicated to the Liebster Award and follow the rules of common courtesy, be thankful. 2. State 11 interesting facts about yourself. 4. Nominate 5 - 11 new bloggers. 5. Write 11 new questions for those bloggers to answer. 11 (what I think are) interesting facts about me. 1. My mother raised me to always be clean and tidy, yet I am probably the biggest slob ever. 2. I love to travel alone, sounds like a lonely existence but snuggling down with a good book on a bus is one of the greatest things I can think of doing. 3. I am an only child and I love it, now that I'm 20 I use this as an excuse not to share anything! 4. This is the longest time I have stuck to maintaining a blog, so happy I am though. 5. It is one of my life goals to complete the London Marathon by the time I am 25. 6. My grandma threw away all of my hundreds of pokemon cards, to this day I am devastated. 7. I am addicted to online shopping, the i-Pad is my nemesis. 8. Because of my job I am not allowed to paint my nails, so it's a massive treat when I can. 10. I would love to be able to say I am good at baking, the sad fact of the matter is I work in a bakery but I am a disaster in the kitchen. 11. My TV guilty pleasures consist of 'Real Housewives' and Millionaire Matchmaker. 2. What's your most treasured memory? 4. What song have you had on repeat lately? 5. What's your favorite part about blogging? 6. If you could hop on a plane right now, where would you go? 7. Who would you bring with you? 8. What's your definition of the perfect day? 10. What is the greatest accomplishment of your life? 1. Having lost time for writing due to studying I began to really miss it and starting this blog has kept me grounded and helped me rediscover my love of writing. 2. Not really a specific memory as such but walking to the cinema every Sunday with my parents as a kid. 3. Start as you mean to go on - I have used this advice in every walk of life. 5. Being part of something bigger than myself, and chatting to people with similar interests to me. 6. Cliche I know, but New York. 7. I would bring my partner Nick. 8. Shopping and having enough money to do so! 10. So far making it through my university degree without cracking! 11. To have a published novel or to run my own events management company. 1. Other than blogging what are your hobbies? 4. 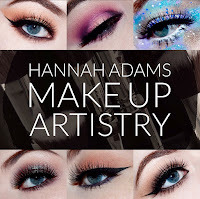 What are your favourite beauty products at the moment? 5. Which fictional character do you most identify with (book/film)? 7. And what would you do? 11. If you could give advice to any fellow writers/bloggers out there what would it be?